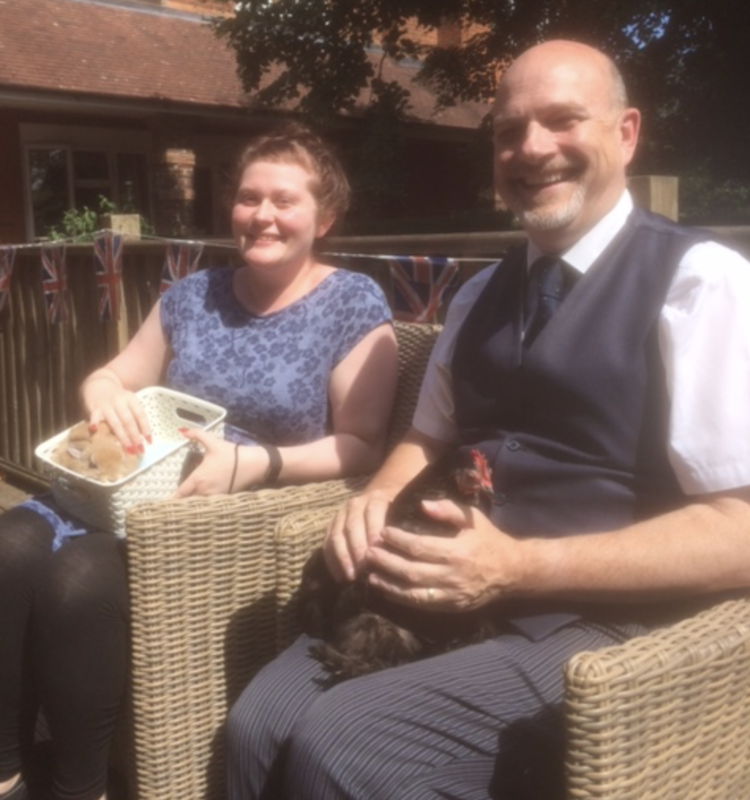 Charlotte has been the Activities Coordinator at Dormy House Care Home in Sunningdale for quite a while, and happened to mention to Richard Leachman (Lodge Brothers’ District Manager) that she would like to bring back a petting zoo to the Home. Richard said he would sponsor it, knowing that the residents loved the opportunity to meet the animals, helping to bring stimulation to their sometimes quiet days. The ‘Animal Pet Therapy’ based at a farm in Chobham brought a number of small furry friends, ranging from kittens and a dog, an owl, guinea pigs and chickens, all of which brought smiles to the faces of the ladies and gentlemen at Dormy House.